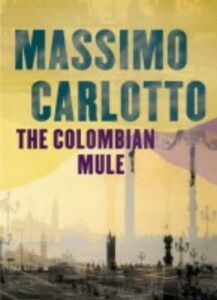 Some time back a fellow student at Italingua in Berkeley loaned me a book by Massimo Carlotto. 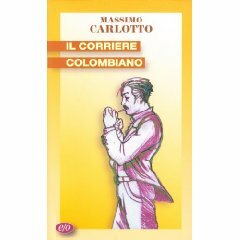 The title was “ Il Corriere Columbiano” and it was in Italian. You can buy the book in translation, as well as some of his others on Amazon and presumably in some bookstores. However he is not well known in the country like Andrea Camilleri. This particular title is shown in translation as “The Columbian Mule” although the simple translation as the “The Columbian Courier” would seem adequate for me but probably not for the book marketing people – less drama in the title after all. In any case I was a bit skeptical of the idea of reading an actual novel in Italian. I had read some comic books (fumetti) that Massimiliano sent me but this was a whole different level. No pictures for cues and books actually written for adults – in this case definitely for adults. Alberto assured me that it wasn’t that difficult so I plunged in. Ah, but what about the title for this post? Well, the Alligator is the nickname of the protagonist Marco Burrati, a former blues singer who had a band, the Alligators. Marco was convicted of a crime (I don’t recall if he was innocent or not) and served time in prison. Now he heads an unlicensed private detective service with his partners Max la memoria (Max the memory) and Beniamino Rossini. All are former convicts. Max (also often referred to as the fat guy – il ciccione) is well connected and very adept at using the web for research. He’s the go-to guy for facts. Baniamino (also known as the old gangster – il vecchio gangster) is the muscle of the operation, not at all adverse to the application of violence to achieve the necessary ends. All three of them met one another in prison and now fight for justice but with often criminal methods – very criminal methods. The Alligator is also a cocktail invented by Marco. Seven parts Calvados, 3 parts Drambuie and a slice of green apple to chew on when the drink is finished, according to Marco. I might as well digress further here to give a little background of Massimo Carlotto. He was convicted of a murder in Italy which became a hugely controversial case. It seems that is was an incredible injustice and he fled the country and spent 3 years living as a fugitive in France and subsequently Mexico before being arrested in Mexico, and returned to Italy. He was imprisoned and after several years of international outcry he was eventually pardoned by the President of Italy. This background indeed adds a special flavor to the books. He started writing after the pardon starting with a semi-autobiographical account of his fugitive years. 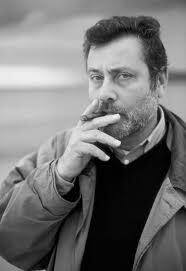 Many of his books have won awards in Italy. So reading this book was not as difficult as I had imagined. Here’s the formula. About half of the words I knew. About half of the remainder are so similar to English words that with a little help from context I could guess them with reasonable confidence. Of that final 25% or so I could get some smallish portion from context – which was often a quite satisfying result. The rest I would often look up, primarily because I am constantly working to expand my vocabulary. Alternatively I found that if I was too lazy to do that looking up thing then I could just continue on and still understand the plot line although admittedly with some loss of overall comprehension. It was an interesting exercise and I really enjoyed the book a lot. That certainly surprised me. 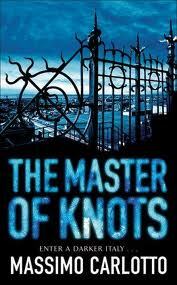 Then Alberto loaned me a second one “Il Maestro di Nodi” (“The Master of Knots”) which I also enjoyed although the plot is darker. A number of his books are available in translation on Amazon. I recommend trying one or two. If you know of any other Italian writers of mysteries (“gialli” ) or in some other genre I’d like to know about them so please leave a comment. Of course I’m not talking about Dante – I don’t think that I’m quite ready for him just yet. This entry was posted on Monday, August 22nd, 2011 at 5:44 pm	and is filed under Culture, Language. You can follow any responses to this entry through the RSS 2.0 feed. You can leave a response, or trackback from your own site. I got this and want to keep getting your excellent blog!